EDMONTON — The Ottawa Senators extended their winning streak to four games and avenged one of their most lopsided defeats of the season with a 4-1 victory against the Edmonton Oilers at Rexall Place on Tuesday. 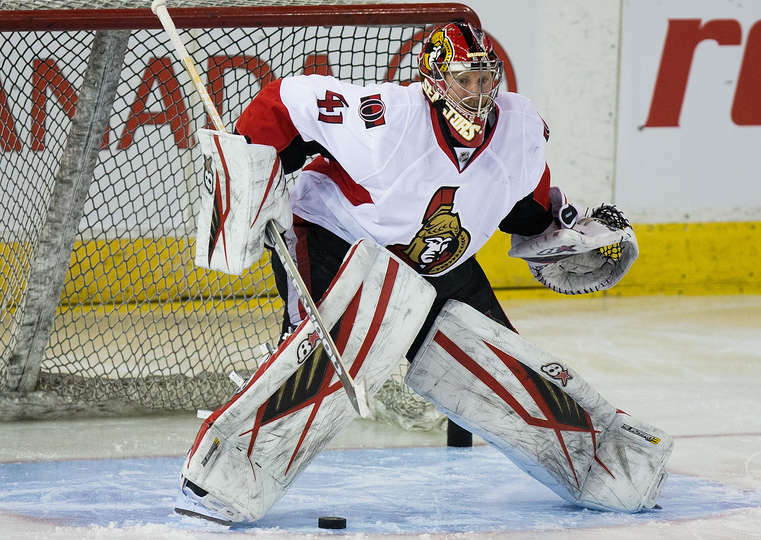 Nick Paul, Zack Smith, Mark Stone and Alex Chiasson scored, and goaltender Craig Anderson made 31 saves for the Senators (29-26-6), who lost 7-2 to the Oilers at Canadian Tire Centre on Feb. 4. Cam Talbot made 21 saves and Jordan Eberle scored for the Oilers (22-33-6), who have lost five straight games and are 1-7-1 in their past nine. Coach Todd McLellan was extremely unhappy with his team’s performance. “I wouldn’t put them all in that category, but there were some [players] that should be embarrassed when they leave,” McLellan said. Paul gave the Senators a 1-0 lead with his first NHL goal at 12:50 of the first period. The rookie forward, playing in his fourth NHL game, lifted the rebound of defenseman Chris Wideman‘s shot past Talbot. Smith put Ottawa up 2-0 at 5:53 of the second period with a power-play goal. He took a cross-ice pass from Stone and was able to squeeze a shot through Talbot for his career-high 15th goal. Eberle made it 2-1 at 18:14 when he got to a rebound in front and fired it past Anderson. The goal extended Eberle’s scoring streak to four games and was one of the few positives for Edmonton. Chiasson scored at 3:31 of the third period to give Ottawa a 3-1 lead, converting a pass from Smith on a 2-on-1 rush. Smith was able to collect a loose puck at center after Oilers defenseman Justin Schultz could not handle a pass from defense partner Jordan Oesterle. Smith lifted a pass over Oesterle to Chiasson, who hit the wide-open net for his fifth of the season. Stone scored into an empty net with Talbot pulled for an extra attacker with 3:21 left in the third period. Edmonton plays at the Los Angeles Kings on Thursday in the first of a two-game Southern California trip. The Senators, who are four points out of the second wild card into the Stanley Cup Playoffs from the Eastern Conference, play the second of a three-game Western Canada trip Thursday at the Vancouver Canucks.